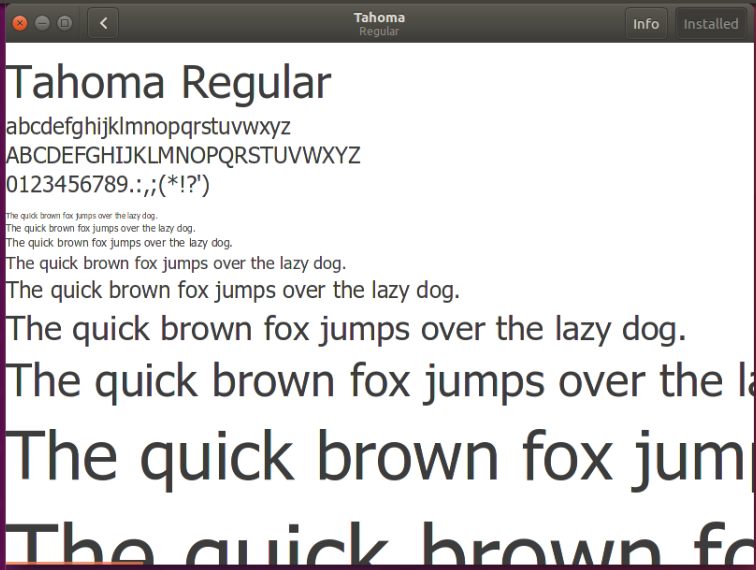 Q: I’m on Linux and on some documents, the fonts are not displayed correctly but they look just fine in Windows. How can I fix this issue? A: This is because most Linux systems do not come pre-installed with as many fonts as Windows does. 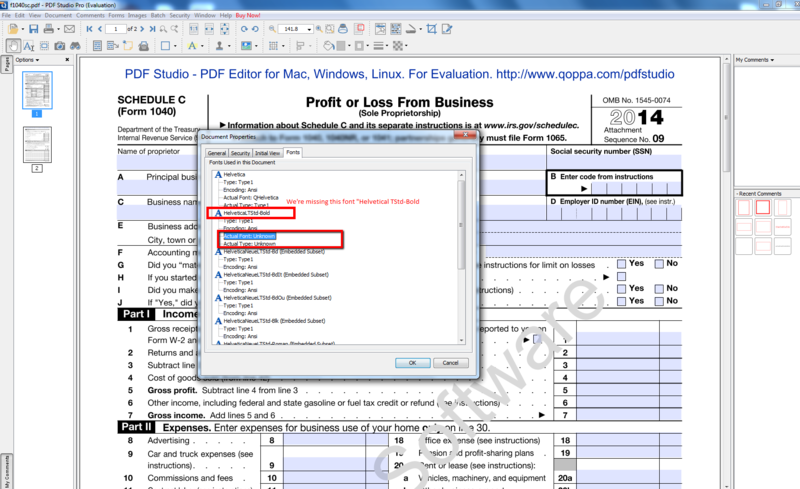 When a PDF document is created it can have the fonts either directly embedded in the PDF or not at all. When the fonts are not embedded in the document, PDF Studio has to look for the font on your system. 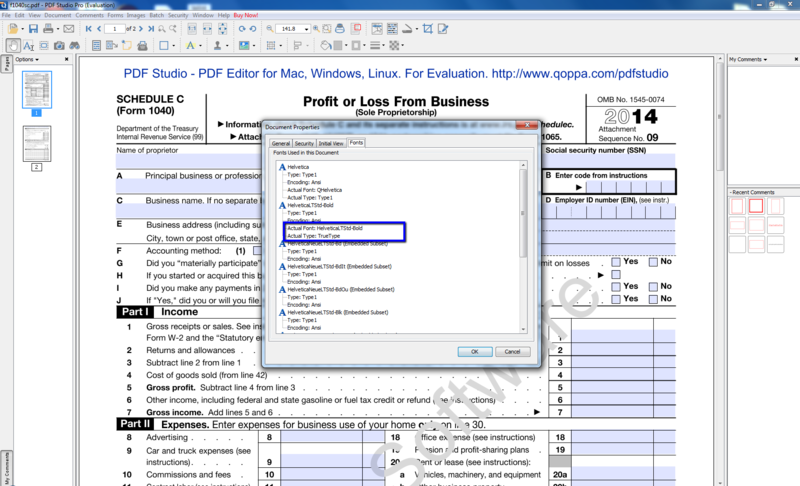 If the font is not located on the system PDF Studio attempts to locate a similar font on your system to use instead. While this works in most cases sometimes there is no good substitution which results in fonts that may look slightly off or as square characters. This can easily be resolved by making sure you have the correct font on your Linux system. You can do this by determining which fonts are missing then manually installing any fonts that are needed in the document. Run “fc-cache -v” to make the system aware of the newly installed font(s). To force the re-generation of apparently up-to-date cache files, overriding the time-stamp checking, you can issue the -f flag. Go to Document Properties and verify that “unknown” is no longer shown on “Actual Font” and “Actual Type”.